Betty Reinhart, 69, of Bloomville, passed away Friday, March 30, 2018, at her home. She was born Aug. 30, 1948, in Tiffin, to Denton and Dorothy (Perry) Goodin Jr. She married Wendelin J. Reinhart Aug. 22, 1964, in Whitley City, Kentucky. He preceded her in death in April 19, 2014. Survivors Include her stepfather, Donald “Elmer” Dull of Tiffin; her sisters, Rose (Tom) Whitney of Florida, Kate (Larry) Emahiser and Shirley (Kenny) Emahiser, all of Ohio, Linda Sue (Lester) Rose and Martha Price, both of Kentucky, and Cheryl Dull of Ohio; her brothers, Jeff (Ann) Goodin of Ohio, Harold (Brenda) Goodin of Mississippi, Jim (Pearl) Goodin of Kentucky and Mikie Goodin of Ohio. She was preceded in death by her parents and a sister, Lori Goodin. Betty was a member of St. Mary Catholic Church in Tiffin, attended Mohawk High School and was a certified nursing assistant. She also had worked at Farmland Foods in New Riegel, but Betty was a “Jack of all Trades.” She loved to crochet, was a big Elvis fan and her family was very important to her. Services for Betty will begin at 11 a.m. Tuesday, April 3, 2018, at Lindsey-Olds Funeral Home, 3085 S. SR 19, Bloomville, with Rev. Gary R. Walters officiating. Burial will follow at Woodlawn Cemetery, Bloomville. 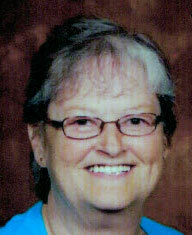 Visitation for friends and family is 5-8 p.m. Monday at the funeral home.